Faithful Catholics of every generation are invited to rediscover and defend the truths of church teaching on marriage at a conference on Saturday, April 21 sponsored by the St. John Neumann chapter of Catholics United for the Faith. “Matrimony: Rediscovering Its Truth” will feature presentations by Cardinal Raymond Burke, prefect emeritus of the Supreme Tribunal of the Apostolic Signatura; Father Gerald E. Murray, pastor of the Church of the Holy Family in New York City and a frequent commentator on EWTN and Relevant Radio; and Father Gerald Dennis Gill, director of the Philadelphia archdiocese’s Office for Divine Worship and rector of the Cathedral Basilica of SS. Peter and Paul. 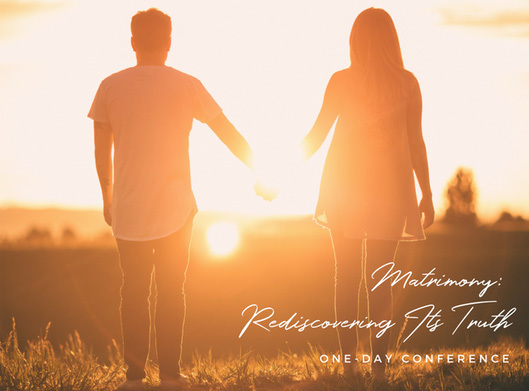 This multigenerational conference and day of prayer is excellent for everyone — married or single — who seeks to strengthen their knowledge of the Catholic faith. Participants will leave with a sharpened understanding of the magisterial teachings on matrimony, the sacrament of Christ and his bride, the Church. The conference will take place at the Cathedral Basilica of SS. Peter and Paul on Saturday, April 21 from 10 a.m. to 6:15 p.m. The daylong event will include Mass accompanied by the Cathedral Choir, eucharistic adoration, the recitation of the rosary, and a Marian procession and coronation of the national pilgrim statue of Our Lady of Fatima. For tickets and information, visit the website of the Conference on Matrimony.